I was bullied at church when I was a young adult. I’m sure the girls that did the bullying would disagree with me, but I now know that they were bullies. Pure and simple. Unfortunately, at the time, I didn’t recognize it and instead blamed myself. I’m not going to go into detail on what exactly was done and said. Many people have been bullied at one time or another, and we’ve all heard stories about bullying. I will say that they spread untrue rumors about me. They called me names. They constantly talked about me behind my back. They made mean, hurtful comments toward me. They attempted to turn anyone they could against me. They ostracized me and attempted to get my friends to ostracize me. Worst of all, their actions towards me made me question my self-worth. Their words stung to the point where I hated myself. I felt unworthy, even though I was. I felt hated, even though there were so many who loved and supported me—especially within that congregation. My mind was questioning everything about myself and turning an unhealthy direction as I thought, “What am I doing wrong?”, “What is wrong with me?” and “Why am I such a worthless person?” I’m sure these girls were going through issues of their own to act in such a horrible, cruel manner. But that doesn’t justify their actions or their words. There is no reason to treat someone the way these girls treated me. 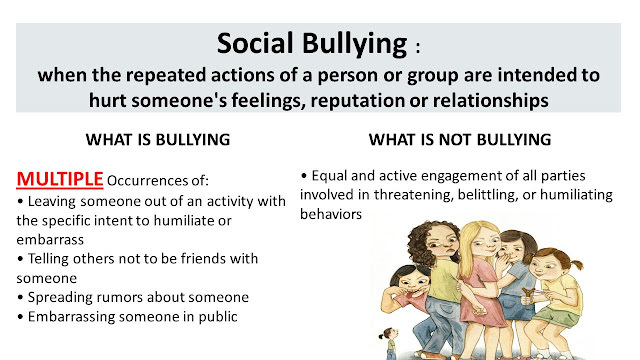 I’ve been bullied many times in many places: school, work, church, even social groups. 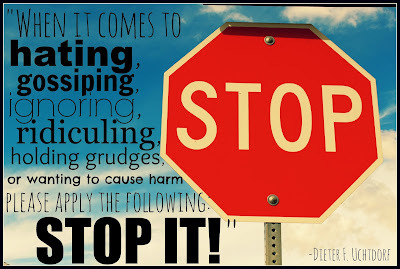 But I feel that bullying should not be happening in the Lord’s church. Granted, no one is perfect. We go to church to try and perfect ourselves a little at a time and to constantly try to become closer to God. Especially when we are young, most of us haven’t learned true compassion, charity, and love yet. And I’m not an exception. So now, with years of perspective, I feel I have a better understanding of this issue. But at the time I did not. I was too young and inexperienced in life to understand the importance of attending church no matter what. My testimony was too young to survive the attacks on my person to keep attending for myself. So, I stopped going to church and instead threw myself into other activities to escape the pain I felt. I thought that by removing myself from the situation and by not attending church, the pain would go away and I would feel better. But I was only fooling myself. I lost a powerful source of spiritual light and strength. Each day I fell deeper into darkness. I was in more pain than ever before, but I just numbed the pain by escaping into activities that distracted me from real life and my real problems. They call that addiction, and it can be anything from binge-watching TV or playing video games, to chemical dependence or participating in unsavory practices. I wish I had a stronger testimony at that time of the importance of regularly attending church for my own well-being instead of for the social interaction. Moreover, I wish I had a stronger testimony of the importance of the sacrament. But, I was young and still learning and weak even, and the bullying from these girls was stronger than my testimony of attending church. It wasn’t until recently, about 10 years later, that I realized I was bullied. It wasn’t my fault, but the way I reacted to it was my fault, and I reaped the consequences. That period of my life, where I allowed the behavior (no matter how justified!) of others to keep me from attending church was the darkest, most miserable time of my life. The worst part was that I didn’t realize how bad it was in the thick of things. It wasn’t until I came back to the fold and started attending church for the right reasons that I realized the light, love, and comfort I was missing. Only on the covenant path did I find true love, pure light, and lasting happiness. I won’t let anything take me away from the light of the gospel again. Ever. I deserve this. I deserve eternal joy. And although some people may make thoughtless or even hostile remarks, it no longer keeps me from partaking of the sacrament or enjoying the fellowship of the saints. I felt that I should share this experience with bullying at church to hopefully help others who have been or are currently being bullied. I hope that you can find strength through my experience. I hope you can learn from my experience and do better than me. Please, don’t let another person's sin against you keep you from the light and hope of the gospel. You deserve to have the gospel strength and truth in your life. You not only deserve the sacrament, but you need it, regularly. You need the companionship of the saints. Just as those very people, the ones that are so hurtful and cruel, also need the redeeming power of the gospel and Christ’s atonement in their lives. 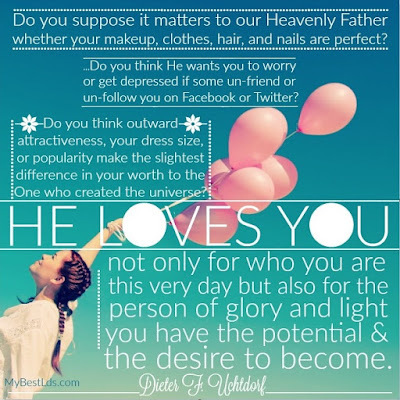 God loves you, and He loves them. He wants them to repent and to return to Him. He wants you to feel of His light and be happy, and He wants you to forgive them, even if they are unrepentant. You can be happy in this trial if you allow yourself to feel His love for you, and to allow yourself to be filled with charity. It took me far too long to learn this lesson and to find true happiness in my life. I also hope that my experience can open the eyes of those who are bullying, spreading rumors, gossiping, etc. May you allow the Atonement of Jesus Christ to sanctify your life and soften your heart so that you can stop this behavior and truly repent. 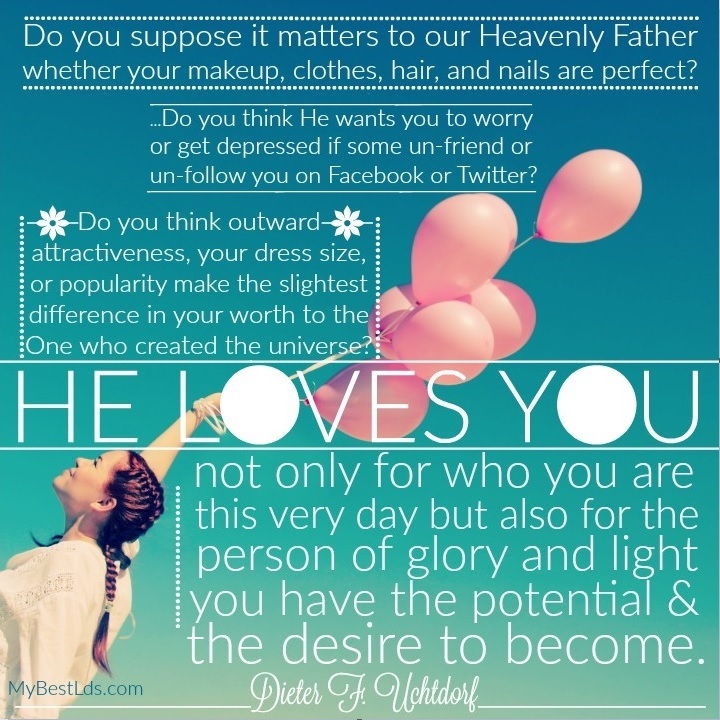 Only by doing so can you draw closer to your Savior, who loves you. Only by doing so can you find true peace and happiness. I, too, have had to learn this difficult lesson. It is a hard thing to approach someone you’ve hurt and to apologize, but it is worth it. Recompense is not always attainable, but make the effort to rectify the wrongs you have done against them. By doing so, you can feel God’s love for your and feel the cleansing power of the Atonement. This was a hard post for me to write, but I felt strongly that I needed to do this. That time of my life, although not the hardest, was difficult. I don't like to think back on those events, let alone relive them as I pondered over what to write. I just hope, as I said before, that my experience can help someone else. I faced a lot of adversity at that time and due to that adversity and my inexperience, I made a lot of choices I regret. However, as I overcame this adversity and the consequences of my poor choices, I grew stronger. I still face adversity, but I have so much more faith, strength, and knowledge which help me find joy and peace in my trials. I now have a solid testimony of Jesus Christ, His Atonement, and His church, and I'd like to share part of that testimony now. I know this church is true, and that regularly attending church is critical to our eternal happiness. I know that it is Jesus Christ’s church restored to the earth again by His prophet Joseph Smith. I know that we have a prophet on the earth today, and that he is Thomas S. Monson. I know the Book of Mormon is true and that it is truly another testament of Jesus Christ to help us grow closer to Him. Most of all, I know that Jesus Christ is the Son of God and that They love us perfectly. They will never leave us alone. They will never forget us. They are always there for us and They will help us as long as we will let Them.